Executive Chef Greg Ryall comes to Canadian Tire Centre after previously holding the title of executive sous chef at Ottawa’s Shaw Centre. Ryall was drawn to cooking at a young age and went on to study hospitality management at Fleming College in Peterborough, Ont. Shortly after, at the age of 21 he was recruited by CP Hotels, known today as Fairmont Hotels and Resorts, to cook at Jasper Park Lodge in Alberta. Ryall was inspired to further his skills and training and attended the Southern Alberta Institute of Technology where he received his Red Seal certification. 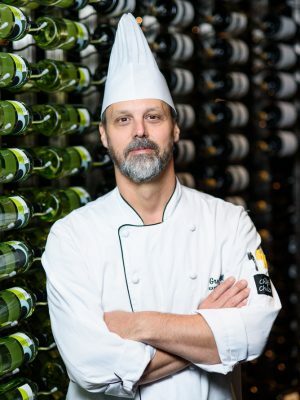 His career then brought him back to the country’s central region where he held culinary positions at Manoir Richelieu in Charlevoix, Que., Delta Pinestone Resort in Haliburton, Ont., and the Crowne Plaza in Ottawa.